If none of your ride-finding apps have felt just right, you’re about to have one more option to get a car to pick you up. 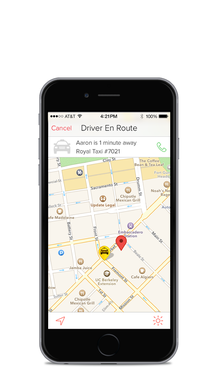 Taxi app Flywheel is throwing its name in to the 120-day ride service ring. As “the non-a**hole alternative to Uber,” the company partners with licensed taxi drivers and businesses to provide rides through its app. Similar to Portland taxis using Curb, riders have the choice to physically or digitally hail a cab and pay on their smartphones. Flywheel said to start, Broadway cab drivers are partnering with the company. Last week, Uber and Lyft started operating in the Rose City for the next four month. Portland City Council will collect data on wait time and ride requests to determine what changes should be made to current for-hire transportation laws. But nothing is guaranteed; city commissioners could still kick the companies out following the trial period.